Farm/Art Dtour, Fermentation Fest, Reedsburg, WI, 2014. 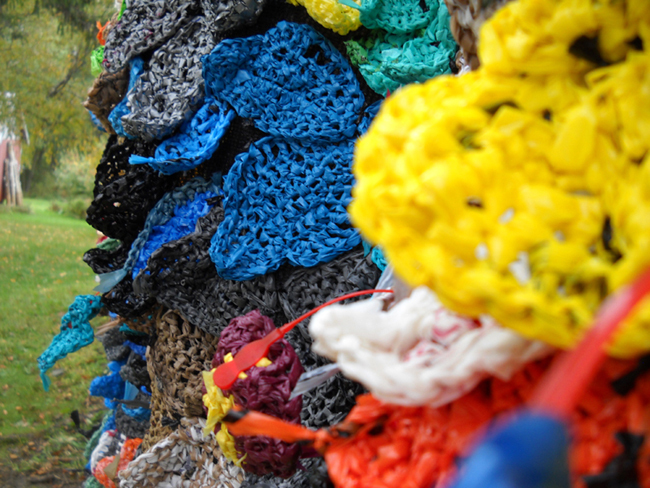 Over 5000 crocheted kudzu leaves made from recycled plastic shopping bags. 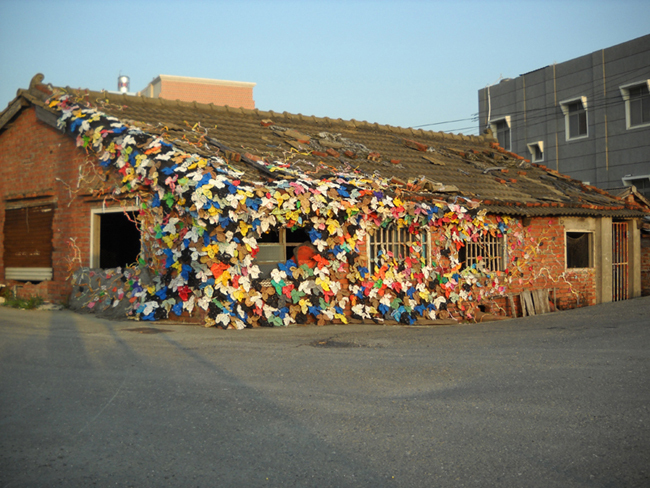 Cheng-Long International Environmental Art Project, Taiwan, 2012. 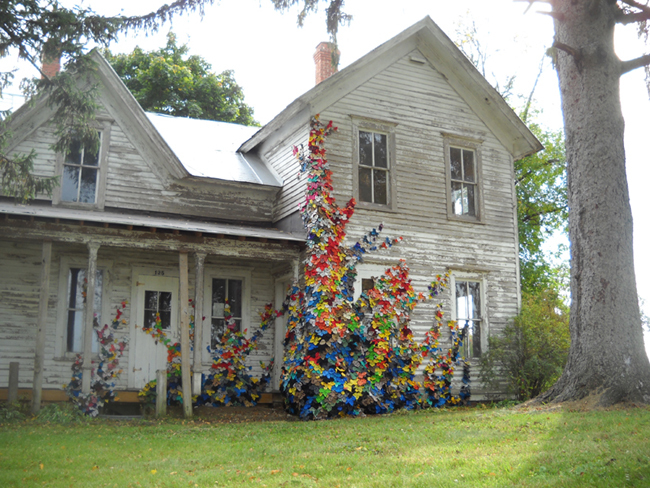 Over 2000 crocheted kudzu leaves made from recycled plastic shopping bags. House front is approx 25' long. Invasive species are introduced into new environments for a variety of reasons: to expand crops, beautify gardens, and control pests. Or: accidentally as part of globalized travel and trade. The kudzu vine is a prime example of a plant that can invade its environment and slowly take it over. In this installation, I created kudzu vine leaves to engulf an older building with its uncontrollable growth. 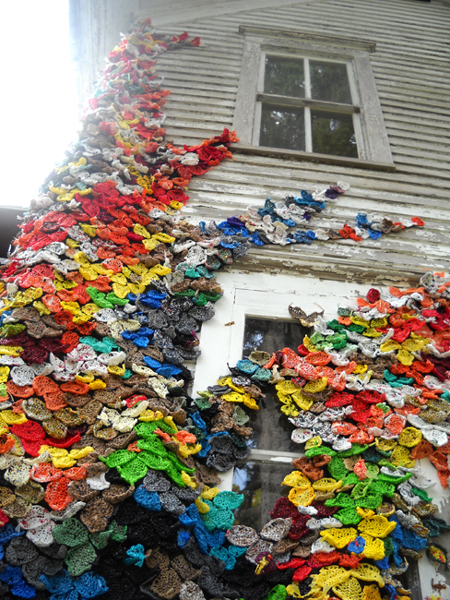 The leaves were made of crocheted plastic bags which climbed and slowly "choked" the structure with their invasive growth. The installation was done in Wisconsin and in Taiwan.